About a year ago, Melinda from the Cocorico bee asked for Christmas themed blocks. I made the block pictured above. 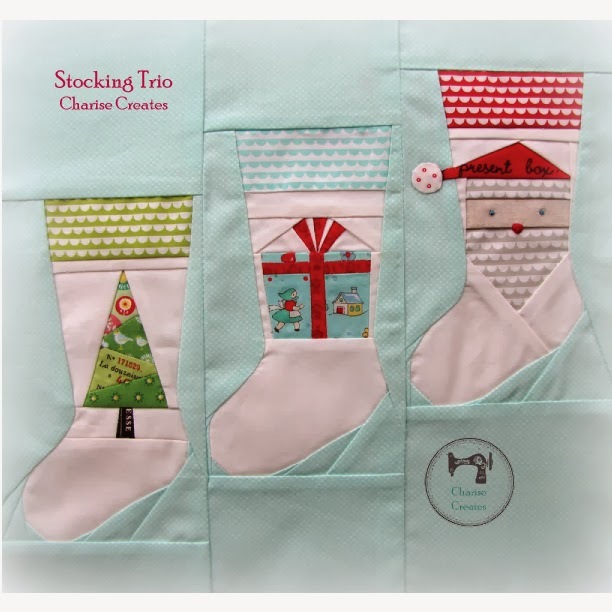 It is 12" square so all the individual stockings are fairly small at less than 4" across. I've been wanting to make the block into a pattern (for a year) and I finally did! You can find it in my Etsy shop Here. 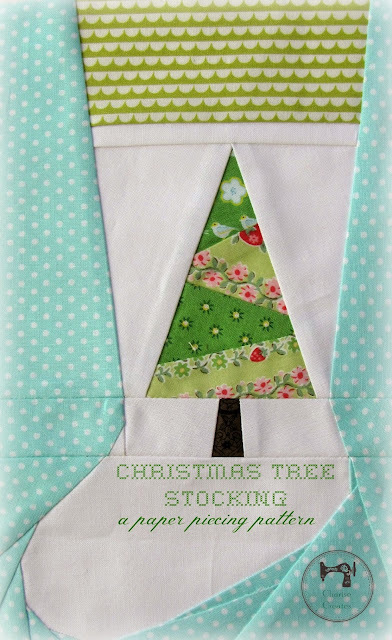 I've enlarged each stocking to be 10" tall and about 5 1/2" wide. 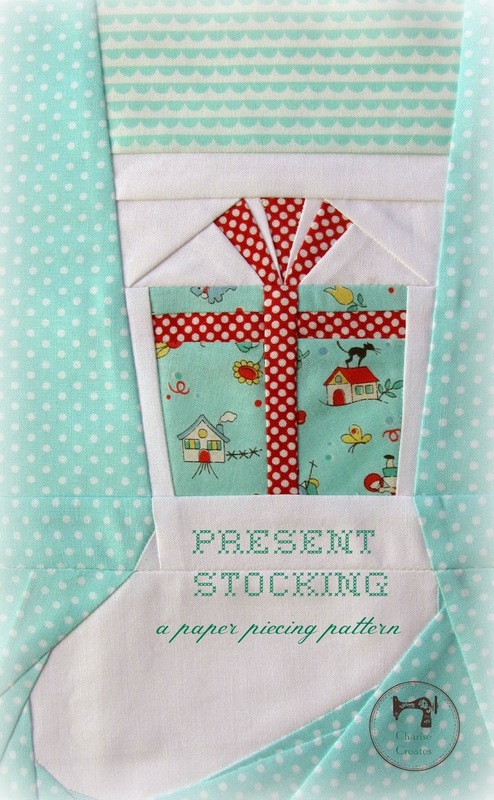 They would be a fun addition to a Christmas themed quilt or would make fun placemats. I think I may make mine into drawstring bags and fill them with goodies for my boys! I've listed them as a set but and also have them available as single patterns. Santa has a bigger hat and eyebrows! As well as the present stocking. 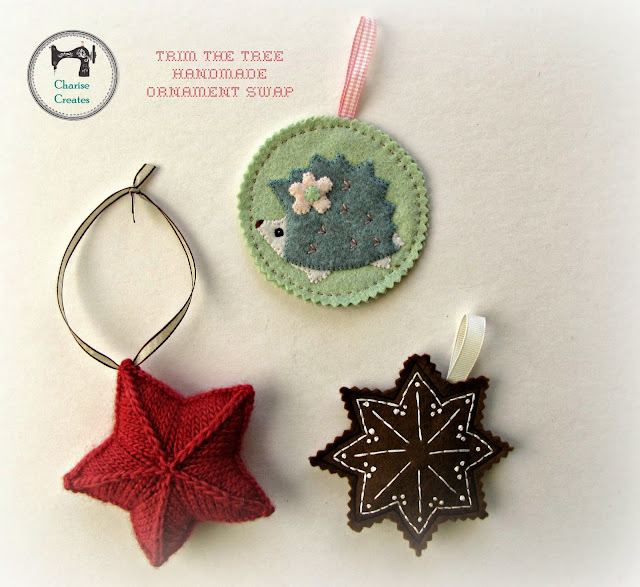 I finished the last ornament in the "Trim the tree handmade ornament swap" last week. 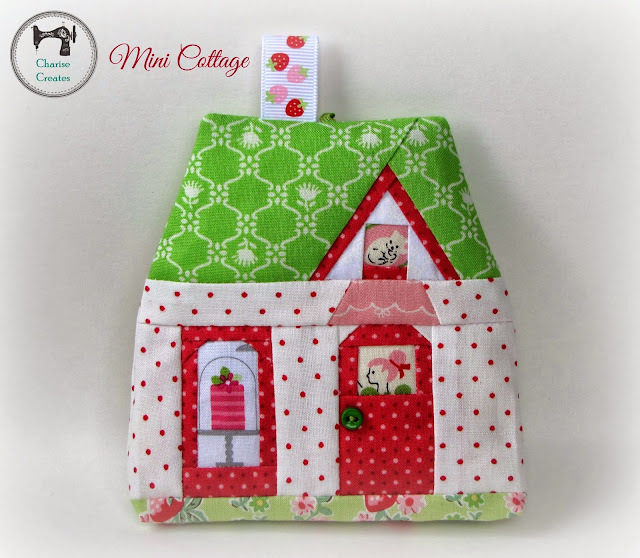 This cottage is the "Sweet Cottage" from my mini cottages pattern. This is my favorite one of all. Love the pink and green color combo. And I received the most adorable ornaments in the Trim the Tree Handmade Ornament Swap! The hedgie is from Jodi, the star from Melinda and the Star gingerbread from Leila. 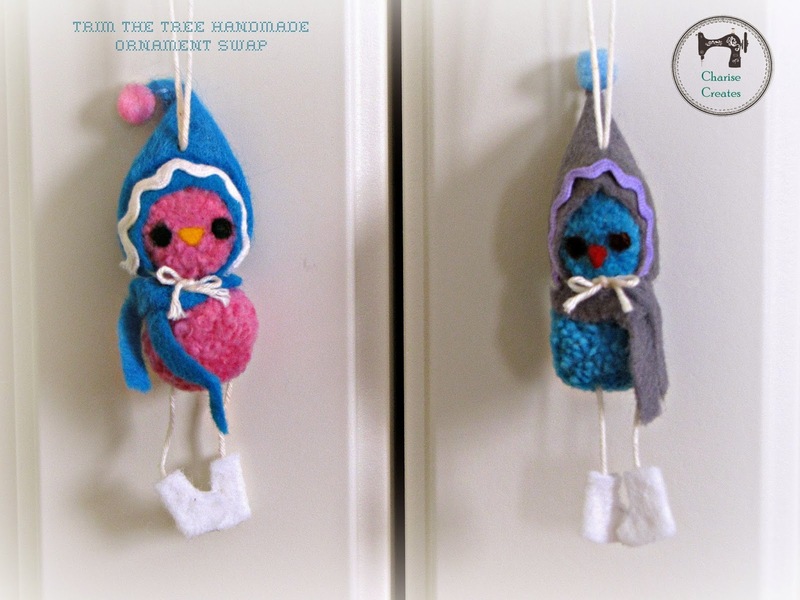 These adorable little birdies are from Leah. The have the tiniest scarves and boots. I am so looking forward to trimming the tree this year! I am always so amazed by your patterns and can't help but to wonder how you go about drafting them. 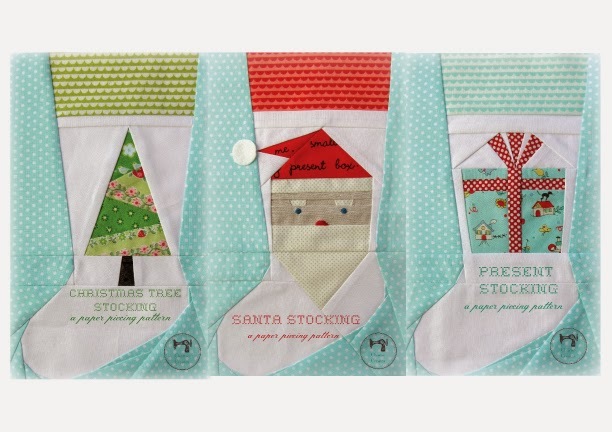 These stockings are so cute! Oh boy, I want to drop everything and make your Christmas Stockings, they're adorable!! So much Christmas Inspiration in your post, I love your house and swap decorations too! Adorable... All! I am especially in love with those 3 stockings! 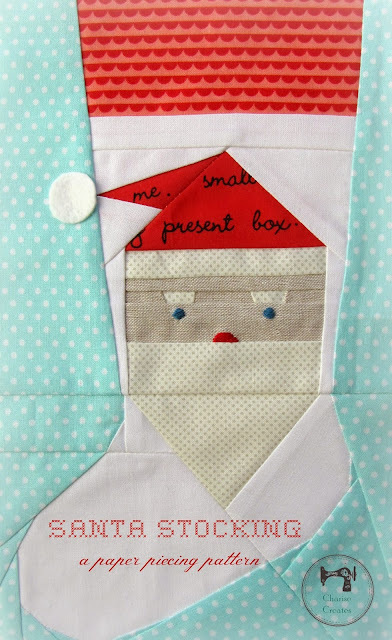 I love the handstitching on santa.